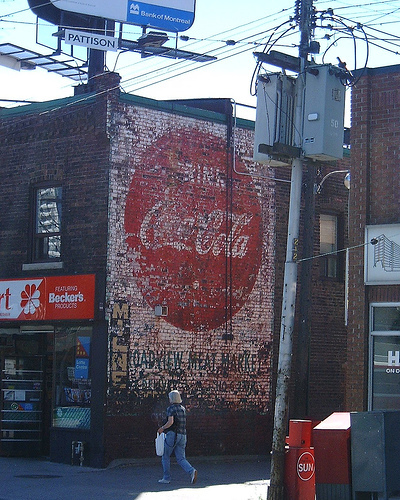 A mondoville tweet led me to a fantastic Flickr photoset from Dave Till entitled Toronto ghost signs. 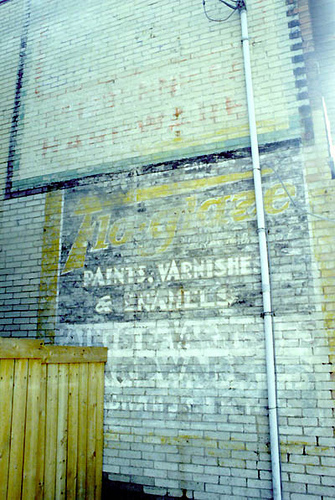 Before the invention of modern billboards, sign painters used to paint advertisements and company names directly onto building walls. 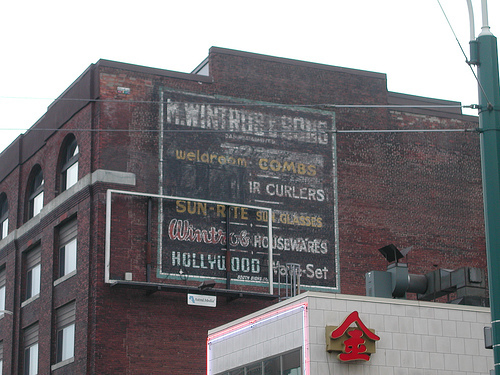 These gradually fading painted signs are known as ghost signs. See them all at http://www.flickr.com/photos/davetill/sets/72157594474186564/. I love stuff like this. Too bad some of the existing ones still left have been defaced with gang tags. I know where the paint can would be going if I caught one of those punks! It wouldn't be down their throat! I always liked seeing these also, especially upstate New York and the old Rust belt towns that had a hay day in years past, lots of hardware store signage etc.